It has been a quiet year on All-Things-Spatial. We have only managed to publish 6 posts so far. The main reason for the lack of updates is a very busy schedule on the development front, with all hands on deck (pun intended!) to bring MapDeck concept to fruition. And to the point that it can be successfully launched on the market! The project turned out to be much bigger than anyone anticipated but now the platform is very close to the official release. Thanks for all the financial support and great feedback we received during testing of various concepts! MapDeck users will be the ultimate winners – with easy access to tons of free and cheap data and tools. We believe MapDeck is something very, very special – but you have to experience it in person to fully appreciate the potential. MapDeck may not be the prettiest website on the Internet, and may not have all the bells and whistles (yet!) of more mature (and better funded!) cloud based mapping software available on the market but it is the only one that offers fully personalised experience. MapDeck will be launched with only a basic set of tools and information but product range will expand over time to meet a growing list of user requirements. More on what is available in a separate post. For now, we would just like to bring you up to date on the administrative arrangements for moving forward with this project. In particular, MapDeck is a global service provider and operates as an independent business. 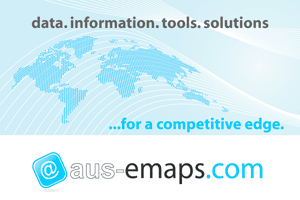 At the same time, aus-emaps.com brand will continue to participate on the project as a lead partner in Australia, providing local content for the platform as well as servicing local clients. 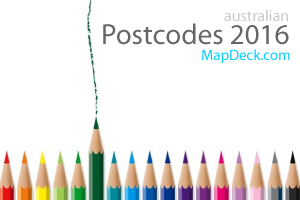 All-Things-Spatial blog will remain under aus-emaps.com control. It will be a vehicle for promoting MapDeck capabilities and for educating current and prospective users of the platform about advantage of using spatial technologies for decision making purposes. We hope you can join us here regularly for insights and good ideas how to make the most of MapDeck functionality. Stay tuned!